For anyone sending cargo internationally, it is well known that air freight shipping offers shippers fast, flexible transportation services. International air freight is particularly useful for time-sensitive, or urgent cargo that would lose its value if not delivered very quickly. However, there are some drawbacks to air cargo services compared with ocean or land transportation, such as air freight costs, limits on cargo types, sizes and weights, and the role weather plays in an airport’s schedule. 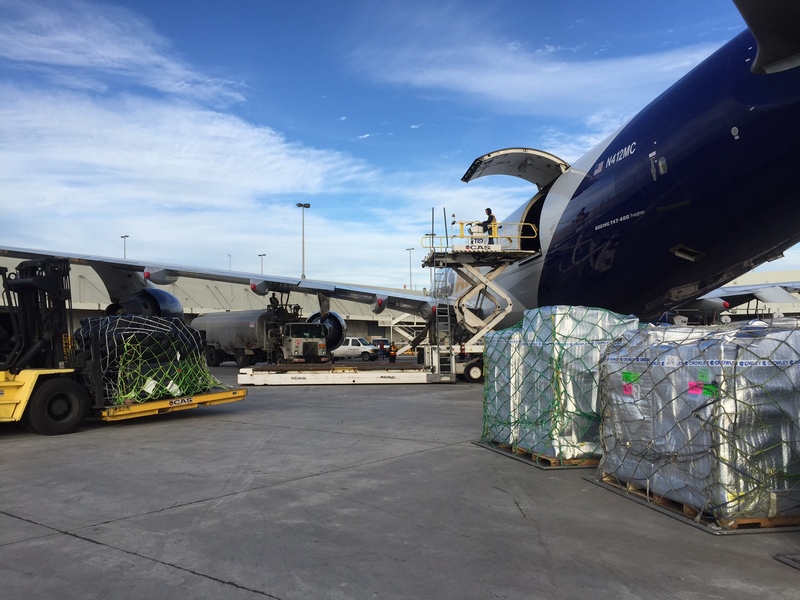 Read on to learn the top five benefits of air freight services. The biggest advantage shippers gain when shipping air cargo is speed, which can be as fast as same-day delivery. This mode of transportation offers the fastest shipping times, as well as reliable arrival and departure times. For shippers who have time-sensitive cargo, such as perishables, an air-only or an ocean-to-air service (a Crowley program that combines ocean and air transport of perishable products from Central America to Asia and Europe via South Florida) might offer the best options. While airport security can be a hassle for those of us who fly, strict regulations and screenings benefit air freight shippers. Cargo receiving areas and air terminals are highly monitored and secure, limiting the risk of theft or damage. Additionally, there is minimal handling and less time required for transit. Even the most remote locations can be serviced by air. With a large operating footprint, airlines can provide air cargo services to nearly any location on the planet. Additionally, air cargo consolidators can provide bi-directional links between among many locations. This helps cargo move quickly and frequently. Most air freight service providers offer web-based tracking that allows you to check the real-time status of your cargo, from destination to arrival. Because cargo is shipped in very lightweight packaging, there is reduced need for the packing materials and containers. Shippers who seek air freight services for the timeliness and efficiency can also benefit from logistics solutions elsewhere in their supply chain – such as distribution, warehousing and more available through a freight forwarder with diverse solutions and expertise. To learn more about the how to best leverage air freight services as well as other supply chain solutions, click here to contact a Crowley specialist who can help you make the right shipping decisions.